When a real estate agent is working at their maximum capacity, their best opportunity to grow their business is to build a team around them. In this article, we take you through the process of how to start and structure a real estate team, including when to hire, who to hire, and give you a free team agreement template you can use. You can build a winning real estate team faster by using recruiting and applicant tracking software. Freshteam lets you post to multiple online job boards with just a few clicks and comes with over 50 job description templates. You can also engage with candidates and collaborate with your hiring team from one convenient dashboard. Best of all, Freshteam is free for up to 50 employees. Click here to sign up. Making the decision to build your own real estate team comes down to the variables of time and money. If you are currently running yourself into the ground because you have more business than you can manage, you can either remain at your maximum capacity or build out a team to grow. 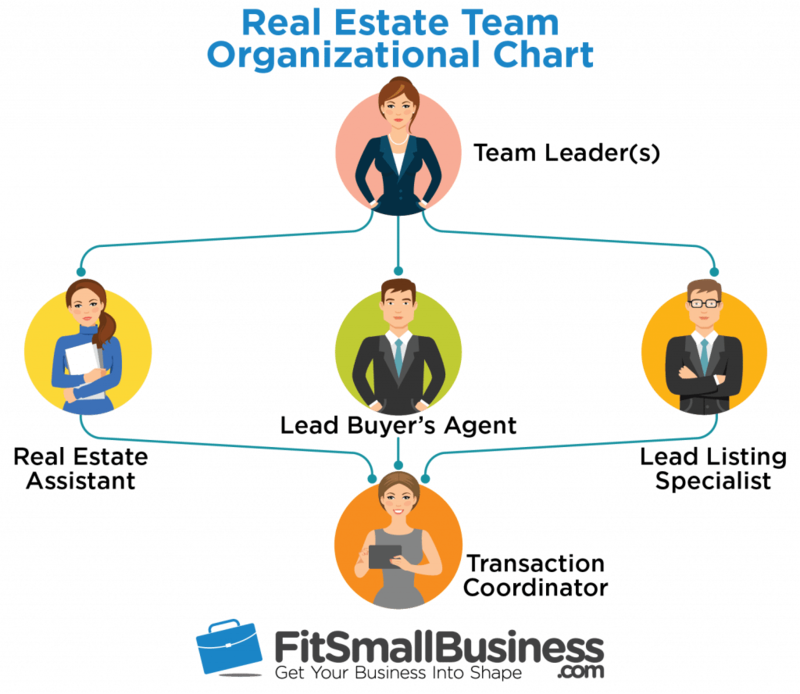 This article will take you through the practical process of building a real estate team, and while we will take you through the specific steps, be sure to read tips the pros have in building your real estate team that can supplement your knowledge moving forward. It is estimated that if you are doing all the work in every transaction, you are limited to around 50-60 per year. Are you doing more than this now? Congratulations. You’re a hero, but you likely don’t want to be living this life forever. It is time to consider starting a real estate team if you want to grow. If you are still struggling to put together transactions and feel nowhere near your maximum capacity, your efforts will be better focused on your own personal career growth. Thinking you can hire your way into success is a path that leads to failure. If you want to start and structure a successful real estate team, you have to consider what type of commission splits you’re getting to effectively pay yourself and your team. We recommend testing the waters at a graduated split company, and keep consideration of moving to a 100% commission company as your team evolves. While a brokerage like Keller Williams, that has graduated splits, can be a fantastic place to start your team and test the waters, you may find that a 100% commission company like Douglas Realty will be the best option as you move forward. While they have disadvantages, they are bare bones, provide a brokerage, have clear fees, and don’t saddle you with splits or franchise fees that you don’t need to pay. There are certainly disadvantages to a 100% commission brokerage to weigh out in your unique situation. The lack of support, lack of leads, lack of brand recognition, and less of a provided infrastructure may not be elements your team can do without. If you go with a graduated split company, or any other type of brokerage aside from 100% commission, you should strongly consider renegotiating your splits as your team becomes larger producers. Run the numbers and be sure to consider how your broker will impact your bottom line. As with any business, there is risk. If you’re already a high producer, chances are that you are well aware of the kinds of expenses you have and what it would take to bring others aboard. Take a good look at your market, project how many transactions you anticipate, and structure your real estate team smartly around your considerations. Having your own team will change your budget, but how dramatically this impacts your bottom line should be clearly determined from the onset. For example, most agents will spend 10% of earned commissions on marketing. Will you spend more? How much of the marketing expenses of your team members will you assume? Be sure to have expectations laid out clearly in your team agreement. Starting your own team is no small feat. Be sure that you have enough capital to cover six months of your professional and personal expenses in case you operate at a loss. Contracts should have clear expectations for both the employee and the team they are about to join. Structuring any good real estate team comes with the acknowledgment that although the team leader has high expectations for those they hire, they also carry responsibilities, and these should be laid out clearly. In this section, you want to be sure to set the standard for what you expect from future team members generally, and what they should expect from you. Information regarding expected professionalism in attitude or dress, working by team philosophy, and how often performance reviews will take place could be included here. This is usually a general section that allocates who assigns responsibilities but can have as much breadth or depth as you feel you need. Many times, the elements contained are often referred to in other sections and addendums for specificity. For example, some teams agreements might have an entire section devoted to “procedures for buying agents” where they discuss processes, a section on lead processes, or a section about open house expectations. The compensation section of your team agreement should set up schedules of compensation and entail clear expectations. This section usually further refers to specific addendums that break down compensation structure depending on the person’s role in the team. Should you have individuals you hire that entail an hourly or full-time pay rate, like an assistant, we also provide an article on how to create a compensation plan that will help you navigate roles that are not commission based. This section begins to lay out what areas of the team remain the exclusive property of the team leader. In many ways, this section of the contract protects the team leader should a departure occur and makes it clear to the team member what remains behind. For example, it may layout that all buyers, sellers, clients, and leads are ultimately the property of the team leader and set out penalties for violation. These sections of the team agreement build upon the section of the Property of Team Leader in expounding upon principles like noncompete and the value of assets upon liquidation. By making terms clear in this section, should unforeseen circumstances arise, areas that are often murky have procedures and values offered. The expenses section of the team agreement should lay out very clearly what the team leader will assume and what the team members are to assume about who pays for what. This section should include the smallest to largest areas of expense; from business cards, phone use, mailings, professional dues, and even including office computers and programs. For your own use in tracking what your team expenses are, and how they will fit into your bottom line, be sure to explore a number of accounting software packages that help you set things up from the beginning. We review the best bookkeeping software for small businesses that can save you time (and money). It is far easier to keep this up as you go than to tally these at a later time. The employment status section should make clear that certain team members are legally independent contractors, and what that employment status entails. For example, this area of the agreement could specify that team members who are independent contractors are to withhold and pay their own income taxes to the appropriate government entity. Once you have made your decision to move forward in starting and structuring your real estate team, be sure to select an effective team name and put together a real estate team agreement laying out clear expectations — then you are ready to make your first hire. Start building your real estate team by hiring a transaction coordinator that will free up a considerable amount of your time. They significantly reduce your workload, are not salaried employees, and allow you to focus your time on your business, not in it. Transaction coordinators are usually paid anywhere from $300-$500 per transaction. Transaction coordinators can be hired traditionally through sites like Indeed or virtually through sites like SettlementRoom. In the case of settlementroomhq.com, they even offer their own transaction coordinator training and certification program as well as an easily accessible platform that you can subscribe to. Imagine, for a moment, if you can delegate all of these responsibilities. You are free to use your time for prospecting, building your pipeline, and significantly improving your transaction numbers. This is the benefit of starting your real estate team thoughtfully and structuring it correctly from the onset. A transaction coordinator allows you to scale while ramping up your business to allow more room for the hiring of others. Be sure that your real estate team is using the best transaction management software, and keeping processes as streamlined and efficient as possible as you grow. There is nothing wrong with staying a two-person real estate team until you again feel burdened by your constraints. You want to be sure to always hire from a place of growth, not stagnancy. If you are growing and find yourself need more assistance to keep up, that’s the time to hire. If you are managing well, it’s the time to remain in this structure. Your second real estate team hire should be a buyer’s agent. This is really the beginning of your forward-facing team to the world, so it is an important hire to get right. Along with their obvious responsibilities, a buyer’s agent will be a representation of your brand in the larger world that will require special considerations. Listings are easier to navigate and require far less time, so focusing on the buying side of a house makes sense for your second real estate team hire. Buyers agents can spend hours researching, showing properties, and having another person on the buy side helps free you up to grow more listings. When you decide to hire another buyer’s agent, prioritize the seasoned professional over a new agent. While it might seem tempting to “train a newbie up” to your style of doing things, training takes time, and a well-oiled machine is far more productive. Start your real estate team off with seasoned agents who know what they’re doing, and won’t require as much of your time. Be sure you have the leads to support bringing in a buying agent, select them carefully, and let them go to work. Feel free to read our tips on how to hire and keep great employees, give top talent generous commissions, and allow them to thrive. If you want to hire seasoned talent, you have to provide an incentive for them to be a part of your team. Offer them a generous commission of at least 40%, and keep them happy. While it might initially take you back to split your commission so generously, if your agents have the incentive to do well, you will also be doing well. It’s not uncommon for some real estate teams to offer 50% for a buyer’s commission if they brought in the lead themselves. It is common that once you have a transaction coordinator up and running, that you begin to get cold feet in hiring another person. Likely, your volume has increased, your profits have increased, and although your life is likely stretched to the max, some agents find it hard to further expand because of two fears. It’s hard to let go of the reigns, and turn buyers over to someone who isn’t you. Trusting a buyer’s agent implicitly with individuals who you may have a relationship with can be scary. Leadership begins here. Starting and structuring the right real estate team means hiring someone you know takes the same approach to client relationships, and trusting them to do the right thing. The fear of losing out on commission money can be a stumbling block to expansion. While it’s true that you might need to scale back on your income at first to accommodate a buyer’s agent, the financial payoff comes relatively fast if you structure a real estate team correctly. If you are already working with six buyers or more a month, you can only stand to benefit from hiring another buying agent, and you’ll likely see your income grow within a year. Be sure that your buyer’s agents are using all the tools that give them the best opportunity for success. For example, be sure they are on Zillow, gaining positive reviews with their clients so others are more inclined to use them from searches on Zillow Agent Finder. An assistant will be the first salaried position you add to your real estate team, but the third hire overall. While many people believe an assistant should be the first person you hire, by allowing your business to scale up using a transaction coordinator and additional buyer’s agent, you’ve given yourself the financial room to comfortably have a full-time employee with a proven income generating model. We suggest hiring an assistant who has their real estate license, to offer more flexibility and breadth in what they can assume in responsibilities. Ultimately, the goal in structuring your real estate team is for your assistant to take on much of your day-to-day work, so be sure to pay them well, create a very specific job description, and find someone you would be proud to represent your growing brand. Remember that even if you have all of the above traits, an assistant will be your right-hand. Be sure that you have personalities that mesh well together and it’s someone you trust to go the distance. Use effective interview questions and screen them well. Training a good assistant takes time and long hours together, and having to replace that person is an expensive and consumptive process. Take your time, and be sure to get this hire right. The listing specialist is your last hire in establishing the building blocks of your real estate team. The listing specialist will be your go-to person in managing every aspect of the seller experience from the very first contact to the signing of the purchase agreement. There are three primary areas to examine when hiring your first listing specialist. Hire a listing agent who is experienced, and has been doing real estate full time for at least two years. Examine what types of homes they have listed, and be sure that they have the background that translates to the type of market you operate in. In your initial hires of starting and structuring your real estate team, you want to be sure the fit is as seamless as possible. This is one of the most crucial element to examine for any listing agent you hire as you structure your real estate team. Along with expected or traditional marketing, what do they do that is outstanding? Are they on top of the latest technologies? Are they constantly learning and growing with the market? A listing specialist should always be growing, and along with putting forth the marketing everyone else is doing, should be thinking of new angles, and exploring new technology. Do they know the best strategies to get listing leads? Are they excited about using drones, posting on Instagram to capture first time buyers, or using virtual staging and tours? Find a person who is a great marketer at heart as you start your real estate team, and their willingness to learn new technology will be infectious to others that come later. Communication is key to how sellers will perceive them as well as how well they will operate in your team. Find a solid communicator that keeps everyone informed and assured. 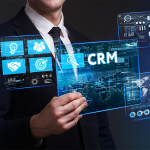 You want real estate team members who are agile with a fantastic CRM, are compatible to how you do business, and operate at the level and frequency of communication you prefer. After having hired a transaction coordinator, buyer’s agent, assistant, and listing agent, you want to eventually begin to pull yourself and your time out of the day-to-day. If business is being done, and your hires are functioning as they should, your real estate team should be running well with your specific positions effectively managing their own areas of expertise. Further scaling your team is now only a matter of placing individuals under the specialists you already have. Most agents who start and structure a real estate team will do so for two reasons; they want to scale their income, and they want to be able to improve the quality of their life. 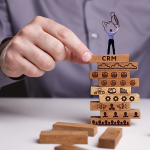 When bursting at the seams, the real estate business can feel overwhelming (a good problem to have), but when you have a team in place, you should be able to spend more time managing your team rather than managing the details. Be sure to keep your team cohesive, do some team building activities, and keep your group operating happily as a unit. Starting and structuring a real estate team is a process requiring thoughtful consideration and analysis at every step. Who you hire, when you hire them, and having the agreements to put the team together is essential to getting the right people in place to grow your business. Taking the leap into a starting your own real estate team is no small task, but breaking it down into small components and being deliberate in the steps you take make can make the process far more manageable. While hiring your first few employees can be challenging, it becomes more important to have processes and keep priorities in check as you expand. We offer a guide to how to hire and retain employees, so that you keep consistency in brand, cultural fit, and don’t lose sight of your goals. We provide a general team contract template for you to examine, customize, and expand upon to suit your specific needs.